The month November was not a good month for metal. Actually, it was absolute horrid. It is as in case the year was holding reverse the existential sinus of dreadful news, waiting to flash it all out in just one big depressed sneeze earlier than the season of the lists end-of-year can take position. 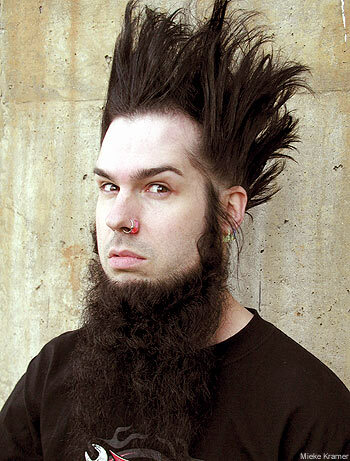 It begun on the first day– on 1st November, Wayne Static died in their sleep at their home in the Los Angeles. Static was famous as the frontman maniacally-haired of Static-X, the only bands which lurked all around the business-tinged nu-metal’s tail-end, infrequently resurfacing each some years with a fresh schedule, albeit forever with Static as the front man. Even as many – together with the contemporary of Static, Jacoby Shaddix of Papa Roach – incorrectly understood this was because of a relapse into tough drug and a successive overdose, it was disproved by window and family of Static. Static was miserably the start of a terrible tendency for the month. On the 9th November, Black Tusk bassist Jonathan Athon expired following problems sustained in the bike crash. He was only 32 years old. Life support of Athon was changed off at the time it was unwavering that the severe brain injure he had acknowledged was permanent. Jamie May and Andrew Fidler, the existing members of Black Tusk, have arrange a fund to hand out donations completed in their name to assist friends of Athon who at present struggle with medical difficulties of their behalf. Even as Wet Nuns break up back in the year 2013, anybody who ever checked the double-piece live performance, or has specified their superb self-titled entrance album a turn or two will understand that presence of Gotts behind the kit was an essential part of their tumbledown charm. He would be missed.